Home|Uncategorized|What Motivates Professionals to Learn English? What Motivates Professionals to Learn English? Looking at this statement, it seems that motivation is an established catalyst. So, what triggers the English learning process in professionals? I am basing my answers to this question on my own observations as an English instructor for more than ten years. 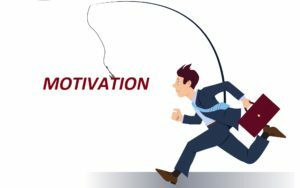 In my experience, professional students who are motivated in their pursuit of learning English have a very strong extrinsic motivation, which is connected to an outside reward. Ok, what is this bounty that motivates the working professionals. My first example is connected to my teaching interactions with Japanese professionals. Their goal in bettering their language skills was connected to job promotions, as well as the companies’ elusive, highly-paid, long-term overseas assignments. Korean students who were employed by the large multinational companies in their home country were motivated instrumentally in their quest of being assigned senior management positions within their companies’ subsidiaries in the USA. South American students wanted to have the ability to speak English because it gave them an edge over others, and again within the employment sphere. I have also had the opportunity to work with older professional students from Turkey for whom, English meant the ability to secure a job in their field. Most recently, I taught some English teachers from Panama, and they were ready to participate in the process since it meant that they would become more equipped to engage in English teaching with their young students. those groups of students always pushed hard in their English learning process, and they were successful due to their primary, extrinsic motivation. what about younger students who are not engaged in professional activities yet. What motivates them? Be on the lookout for my next post! I will discuss my experiences regarding their motivation.